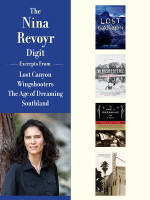 FREE E-BOOK: Download The Night of the Rambler for FREE through Wednesday, February 24! 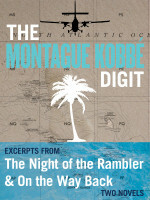 Download a copy of The Night of the Rambler for absolutely free through Wednesday, February 24! FREE E-BOOK: Download Pepperpot: Best New Stories from the Caribbean for FREE through Tuesday, January 26! Download a copy of Pepperpot: Best New Stories from the Caribbeant for absolutely free through Tuesday, January 26! To celebrate the release of Coming Up Hot: Eight New Poets from the Caribbean, today we’re pleased to give you a look at the book’s preface, written by Kwame Dawes. New York, stop by the Brooklyn Commons on May 8 for a party benefiting our friends at AK Press! All proceeds will go toward helping them get back on their feet following the devastating fire that wiped out their home base in Oakland, CA, earlier this year. Johnny Temple, Prodigy, and K’wan talk Infamous Books on NPR’s Weekend Edition! Did you catch Akashic publisher Johnny Temple and Akashic authors Albert “Prodigy” Johnson and K’wan on NPR’s Weekend Edition? Click to learn all about how Infamous Books is reverse gentrifying literature. June Is International Crime Month! Akashic Books has partnered with three influential independent publishers—Grove Atlantic, Melville House, and Europa Editions—for a month-long initiative featuring acclaimed crime fiction authors, editors, critics, and publishers appearing together in a series of readings, panels, and discussions!